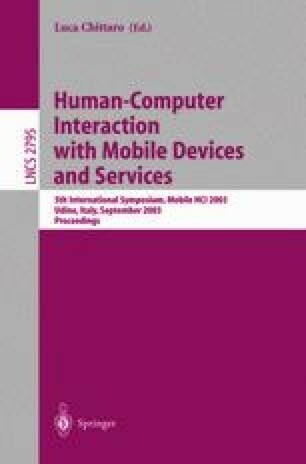 Recent advances in mobile computing and communication technologies have spurred nomadic use of computers. In order to support HCI design for new mobile services, we have developed the MADE (Mobile Applications Development Environment) software development kit. MADE includes M3P (MicroMultiMedia Player), a network-enabled multimedia player easily programmable through the Micromultimedia Services Language (MSL). MSL provides high-level components encapsulating advanced services (e.g. positioning, database query, path search, games, etc. ), that can be easily integrated in multimedia presentations. This allows building modular applications that provide information-rich services to the general public through a coherent and homogeneous multimedia HCI, that can be learned with low mental workload. On the other hand, MADE hides the low-level aspects of multimedia and service management, allowing designers to focus on the modalities of presentation of information and on user interaction. The paper describes MADE and briefly sketches some tour guide applications we developed using the tool.